Examine the current practices Texas uses during evacuations to provide immediate assistance to evacuated residents. Review experiences from other states that experienced heavy flooding during the past year, and make recommendations for best practices from lessons learned in those states. Study and make recommendations on options available to local governments for additional drainage infrastructure funding. Additionally, study different methods of drainage infrastructure management used on a statewide basis and identify best practices. 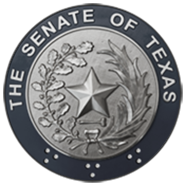 Monitor the implementation of legislation addressed by the Senate Subcommittee on Flooding & Evacuation, 82nd Legislature, Regular and Called Sessions, and make recommendations for any legislation needed to improve, enhance, and/or complete implementation. any other effective forms of communication that have been successfully used by governing and law enforcement entities.